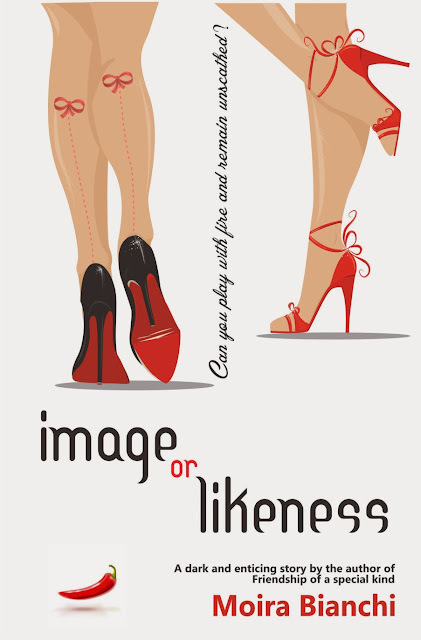 Moira Bianchi: Image or Likeness is about to be published! Image or Likeness is about to be published! After a very bumpy weekend when my Mr. Darcy spent a night in the ICU, finally I managed to publish 'IMAGE or LIKENESS'. Do you like the final cover? Again, it is a lovely Ideias & Kits job! Tks sweetie! I enrolled Image and Likeness on KDP SELECT, and for this it has to be an exclusive Kindle book. BUT, as it'll take a day to go live, if you want to read the first four chapters, e-mail me NOW and I'll send it to you.